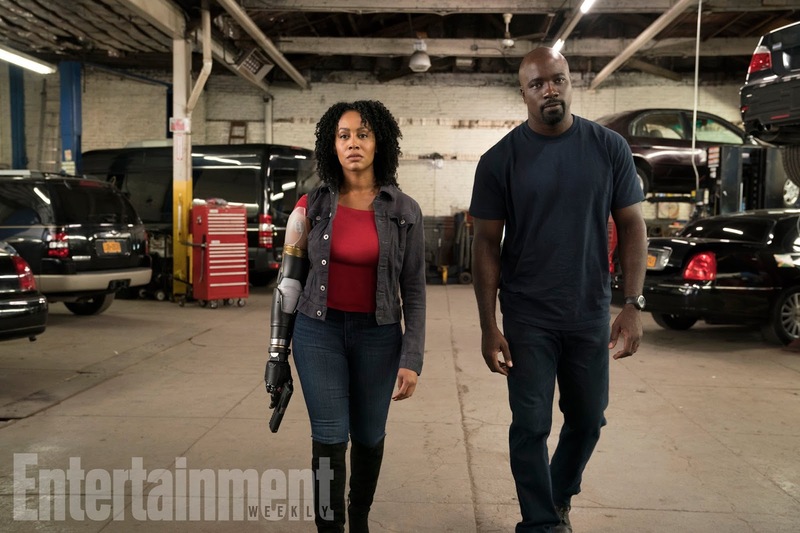 When we last saw Misty Knight (Simone Missick) she had been badly injured at the end of the Netflix's 'The Defenders' series. 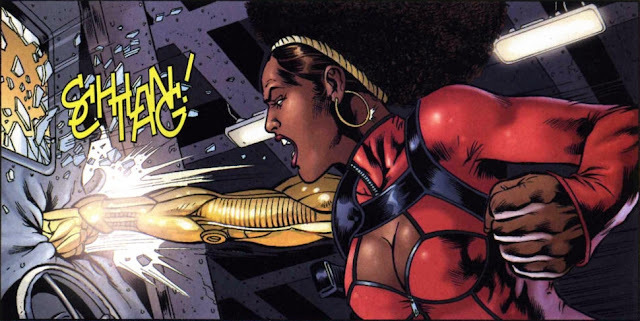 Now, we'll finally see the upgrade that comic book fans have been waiting for when she returns for 'Luke Cage' season two. Entertainment Weekly just released the preview photo featuring Luke (Mike Colter) and Misty where she is sporting her signature bionic arm after losing it to Bakuto (Ramón Rodríguez) in the finale of the team-up series, The Defenders, that also featured Jessica Jones (Krysten Ritter), Iron Fist/Danny Rand (Finn Jones), and Daredevil (Charlie Cox). What isn't revealed yet is how she acquires the advanced prosthetic. In the comics, Misty lost her arm in an explosion and gets the bionic arm from Tony Stark and Stark Industries. With it, she's capable of super strength, projecting energy blasts, and gravity fields among other things. While recovering from her injury in the hospital, Colleen (Jessica Henwick) reassures her that Danny and his team at the hospital will take care of her, presumably alluding to him providing the bionic arm. We'll have to wait until next year to see Misty use her iconic prosthetic and see if it's as advanced as her comic counterpart or will it be more grounded in this "street-level" adaptation on Netflix. Marvel’s Luke Cage Season 2 returns to Netflix in 2018.